We offer a huge range of composite doors which will look stunning in any home in Stamford. From Composite Front Doors, Composite back doors to composite stable doors, these are available in a wide range of styles and finishes, colours and styles available within the Stamford area. Our composite front doors are also available with matching side panel (side light) which allows more light into your home. All composite doors are available with decorative glazing options, various types of door handles, letterboxes and door knockers. We also offer a composite door designer, so you really personise your front door with your own style. Composite doors are also available in a range of traditional stable door designs for those country style homes in Stamford. We also offer colour matching, so we can match your composite doors with your existing UPVC Windows. Your Stamford home will always be safe and secure as all our composite doors are fitted with advanced safety features. These Composite Doors are designed using a combination of materials including UPVC, wood, insulating foam and GRP (glass reinforced plastic). A composite front door provides a traditional appearance while maintaining a very strong and secure door. By purchasing a composite front door will brighten up the look of any Stamford property. These replacement composite front doors will provide a statement to your neighbours especially from our range of contemporary furniture which will enhance the look of any boring entrance into a bright, fashionable feature look. We also offer modern Long Bars and handles, or choose from one of our modern square door suites, or even the elegant Bow Handle option, the possibilities are unlimited. Composite back doors are becoming extremely popular with homeowners throughout Stamford. This is due to the strength and durability of the composite back door which helps to protect your Stamford home from intruders. According to recent statistics most burglaries occur via the front or back door. With the back door being out of site if it’s a choice between the front or back door then the burglar with choose the back every time. This is why our composite back doors are as popular as they are incredibly strong and secure. This its self will provide peace of mind that uninvited guests will not be able to gain entry via the back door. Purchasing a replacement back door will not only provide you with door security, but will provide that stylish entrance and modern for years to come. All of our composite doors are manufactured with a solid core construction, ensuring that the best quality composite door security. To enhance this door security, all composite doors are fitted with Yale high security multi-point locking mechanism as standard. These Yale superior locking systems prevent drilling, picking and any forced entry. The composite doors are not just robust and highly secure, but look outstanding as well, ensuring that your Stanford property will remain fully protected. 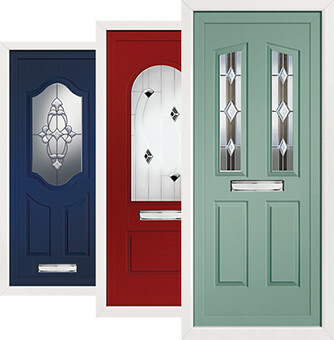 Our composite doors are available in a huge range of colours and designs. We have also a series of unique thresholds, frames and stunning edges too. From over 9 frame colours from white to mahogany, or why not opt for our most modern grey or cream. These colours are complemented with our stunning grains to supplement your door design. All composite doors can be configured with either gold, chrome, black, white or contemporary handles and hardware, ensuring that your door will be the talk of your street. We do not just offer the best quality doors in Stamford but the best prices as well. 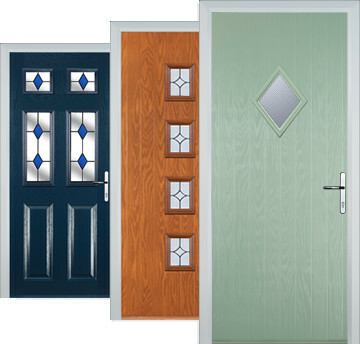 Our composite doors are extremely affordable, with no sub-contacts which allows us to keep our prices down. Our door fitters are extremely good, which allows us to guarantee our outstanding workmanship.